Elicia Sanchez did not want her wedding to be another boring event where people sit around and hear the same old speeches about people being so in love… blah blah blah. So she combined two important influences in her life: her Mexican heritage and Star Trek. 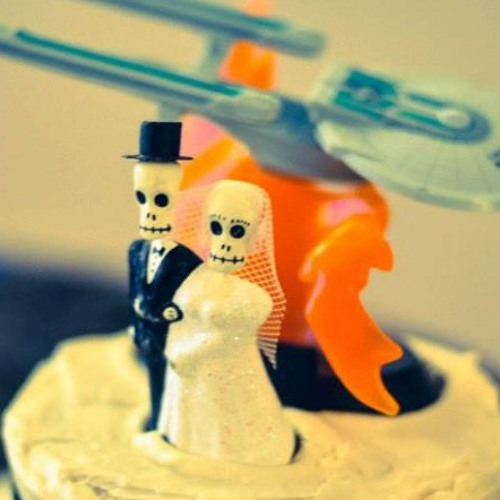 She would be having a Trek Mex wedding. Enter worf masks, bat’leths, tacos and mariachi music.